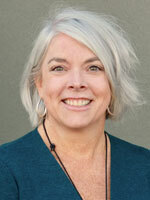 Maureen Marchant is a Licensed Master Social Worker practicing at Northwest Neurobehavioral Health. Maureen graduated with her bachelor’s degree in social work from Boise State University in 1997. Prior to graduate school, Maureen’s work experience includes case management for victims of domestic violence & sexual assault, non-violent parenting classes with the Idaho Department of Corrections, and family preservation specialist until 2006. She then went to work for Family Advocacy Center and Education Services – (FACES), where her focus was crisis intervention and client services coordination. Maureen began working with Life’s Kitchen, a culinary training program for at-risk adolescents and young adults, to help adolescents learn job skills, complete their GED, and overall case management to help her clients reach their set goals. Her passion and energy to work with individuals from all backgrounds and cultures is what drove Maureen to return to finish her master’s in social work at Our Lady of the Lake University, San Antonio, Texas. Her graduate work focused on working with Hispanic individuals, families, and children. Maureen loves working with school-age children, adolescents and young adults, and adults of all ages to diagnosis, and create treatment plans that promote overall wellness. Spending time with family, cooking for friends, sharing good laughs, and listening to good music is what keeps Maureen busy outside of work.